Sanjay Dutt Postponed BHOOMI to Avoid Clash with Aamir Khan's Secret Superstar! 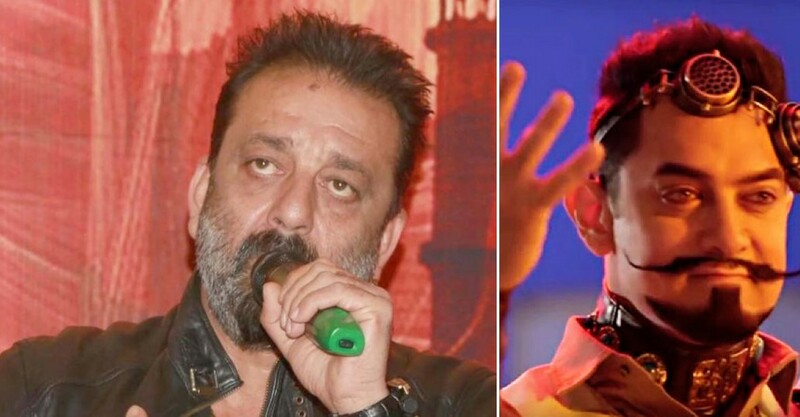 We all know that Sanjay Dutt is making his comeback with Omung Kumar's upcoming film, "Bhoomi". The lead heroin is Aditi Rao Hydari and they are shooting in Agra. The film was scheduled to release on 4th August but now Sanjay Dutt has postponed the dates due to Aamir Khan. Yes, you read that right. The reason behind postponing the film is Aamir Khan's upcoming movie, "Secret Superstar" is also scheduled to release in August. Sanjay did so to avoid the clash with Aamir. He didn't want to clash the film because, "Secret Superstar" is a small budget film with the sole content target and clashes can affect it. Well, this is indeed an inspiring act and we wish other's to follow the same suit. Because clashes become dirty and messy, even between best friends. Not making any clashes ensures a good experience for both, actors and fans. For now, Sanjay has requested the film’s producers Bhushan Kumar & Sandeep Singh for the same and the final decision will be taken by T-Series and Legend Studios.